For many women going through menopause memory loss, lapses, and brain fog are very concerning symptoms. Women who report these symptoms report that they have difficulties remembering where they left things, difficulties remembering names, dates, and addresses. If you find that these questions are now in your vocabulary and you are in menopause there may be an explanation to why you may be feeling this way. In menopause, low estrogen levels have a direct impact on our brain neurotransmitters (dopamine, serotonin, and GABA). These neurotransmitters help us to modulate our mood, cognitive functioning (thinking and memory) and enable us to manage stress. 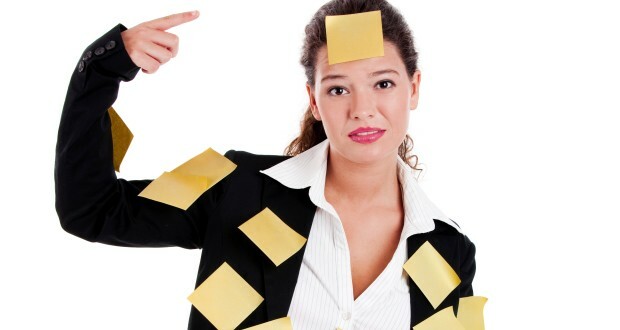 When estrogen levels are low these neurotransmitters become out of balance and can result in mood changes, short term memory problems, and inability to think clearly (brain fog). The good news is that you aren’t imagining your memory deficits. Memory deficits at menopause are real. The study confirms that the complaints expressed by many menopausal women are the result of real cognitive deficits and that these complaints aren’t just in their heads. The research found that women who felt their memory wasn’t functioning well scored lower in tests of attention and memory. The research also revealed links between memory abilities and mood and the severity of menopause symptoms. Women who reported more negative emotions scored worse on the tests than women who had felt less negativity. Women who experienced severe hot flashes did worse on the test compared to women who had fewer hot flashes. Estrogen and Progesterone in the form of prescription medications, can also help women better manage brain fog and fatigue. Studies have not definitively proven that HRT helps improve cognitive function in postmenopausal women but many women report it does help with some of the symptoms that they are experiencing. However, HRT, has been linked to other health problems. It is important that you discuss with your doctor about your particular symptoms as well as HRT’s individual risks and benefits before using this treatment. Note: Using HRT is not suggested solely for memory loss but if you start using them for relief of severe menopausal hot flashes, you may also see a memory improvement. Examine your memory and embrace its strength and weaknesses. Pay attention to what mental tasks are challenging for you. Find new ways to complete tasks. If you are having difficulties remembering names train your brain new techniques to allow you to remember these things. Repeat new information out loud or say it back to a person to confirm it. Repeating the information reinforces it in your memory and helps you hold onto it longer. Exercise your brain by doing crossword puzzles, brain teasers, memory games. There is growing evidence that mental exercise helps rebalance and rewire the brain. So use it don’t lose it! Exercise enhances mood by increases blood flow to the brain. Exercise also helps to maintain an optimal chemical balance and lowers the levels of stress hormones. Menopause insomnia and night sweats are common symptoms of menopause and contributes to sleep disturbances which could leave you feeling groggy, and fuzzy. Improving your sleep will keep your energy levels up enabling you to think clearly and retain information. Eating right will help provide relief from many menopause symptoms. Eat plenty of fruit and vegetables and a balance of protein and carbohydrates. Avoid alcohol as this impairs memory. Foods that have been linked with improved mental acuity (sharpness of the mind) include: fish, legumes, soy products, blueberries, spinach and sunflower seeds. Omega 3 acids may also help the ability to concentrate.